In 1982, researchers from UC Cooperative Extension, UC Davis, and the California Department of Water Resources teamed up to develop a system to help growers and landscapers water more efficiently. Together they created the California Irrigation Management Information System (CIMIS), a network of 120 automated weather stations across California that calculate the local rate of water loss to the atmosphere through evaporation and plant transpiration. With this real-time and archived information, growers and landscapers are able to make better-informed decisions about when and how much to irrigate. A 2000 report from UC Berkeley put CIMIS-related increases to state agricultural profits at about $64,666,000 per year. CIMIS has dramatically improved irrigation in the Golden State, and not just for agriculture. CIMIS users include school districts, fire departments, utility companies, government organizations, and more. Mr. Field’s family has been ranching for more than 60 years in Alameda County on rangeland leased from the East Bay Regional Park District and the San Francisco Water Department. In 1990, the San Francisco Public Utilities Commission initiated planning for an end to grazing on their land due to concerns about water quality. In doing so they put Mr. Field’s ranch operation at risk, along with the ranches of 18 other families. A team of UCCE livestock farm advisors and specialists set out to research the impact of cattle grazing on water quality, and they developed a plan to address the PUC concerns. Not only did the novel UCCE plan convince the PUC to let Mr. Field and his fellow ranchers keep grazing their livestock on public lands; it received international attention and has become the basis for other grazing plans throughout the region. Accurate irrigation is one of the most important elements in successful orchard farming. Too much water can suffocate roots and lead to diseases; too little will stress the trees, threatening growth and production. Growers can use a variety of tools to measure soil moisture and calculate tree water use, but wouldn’t it be simpler if you could just ask the tree if it is thirsty? We’ve had a device that can do this for quite awhile—a plant pressure chamber measures a tree’s water potential, something like the way we measure our own blood pressure. But the pressure chamber was seen as a tool for research, not a management tool for growers, and no one had developed the baseline data needed to make the tool practical for use in the field. Recognizing the potential for benefit to growers, UCCE farm advisors Rich Buchner and Allan Fulton put together a team of UCCE advisors, specialists, and campus-based faculty to assemble the baseline data for prunes, almonds, and walnuts. With help and training from UCCE, more and more growers are beginning to feel comfortable using pressure chambers for real-world water monitoring, and in this way they are gaining a better understanding of how much water their trees need. 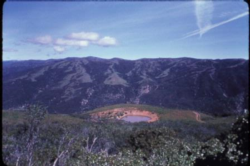 In 1995, the California Regional Water Quality Control Board (San Francisco Bay Region) began to monitor for pathogens entering the Tomales Bay watershed. Knowing that remedial actions had the potential to have drastic effects on nearby livestock ranchers, the UCCE Marin County livestock advisor acted quickly to find a resolution that would address everyone’s needs. He created a program for livestock and dairy producers to voluntarily report and document their best management practices for improving water quality. The program was such a huge success that similar programs have since been adopted in nearby Napa and Sonoma counties. For 20 years and more, UCCE has been leading the way in protecting water quality. With the availability of irrigation water becoming more and more of a concern in California, vintners and grape growers are looking for new water conservation strategies that will still allow production of high-quality grapes. UCCE advisors and specialists have been working for some time to address this very need. Twenty years of UCCE field trials have paid off in the form of what’s known as Regulated Deficit Irrigation (RDI). In a nutshell, RDI looks at how much water a grapevine needs and how much water the plant would get from nature, without irrigation. By studying numerous grapevine varieties in all seasons and climates, UCCE researchers have achieved a better understanding of how to irrigate in the most efficient way and still get top-notch results. The new strategy has been a huge success and has been widely adopted by growers.